In international trade theory, countries are often treated as homogenous regions, with no account taken of their internal geography. This column uses evidence from China’s Treaty Port Era to show how domestic trade frictions shape welfare gains from trade. Gains from new technologies that lower trade costs are shared, but the gains are not evenly distributed. Lower trade costs can also mean lower welfare for productivity leaders, who may be replaced by low-cost suppliers from less productive regions as the costs of transport decline. We all know that countries are not dimensionless points in space, even if the assumption is one often made in international trade theory. A more realistic model might incorporate the internal geography of a country within the analysis of international trade. With perhaps the exception of Paul Krugman’s seminal work in economic geography that emphasised intra-national barriers to trade and worker mobility (beginning with Krugman 1991), little progress has been made to date on this front. 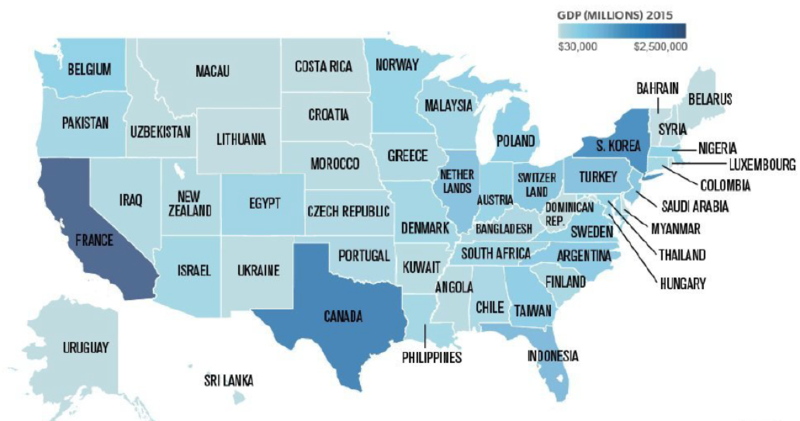 Conceptually, the challenge is simple—instead of treating the US as a homogenous region, treat each US state, or regional unit, as a separate country.1 With California having the gross product of France and Oregon that of Pakistan, as Figure 1 shows, this is plausible in terms of economic size. Empirically, however, this approach is difficult to implement. The problem is data. Because trade policies — such as tariffs — tend to be implemented at a country’s international border, and not within national borders, we do not know precisely how much regions such as Oregon and California trade with each other, in contrast to the trade between France and Pakistan. China is an important exception. Its regional trade system during the years 1842 to 1943 centred on so-called treaty ports, and each of them recorded its entire domestic and foreign trade down to the level of individual commodities. 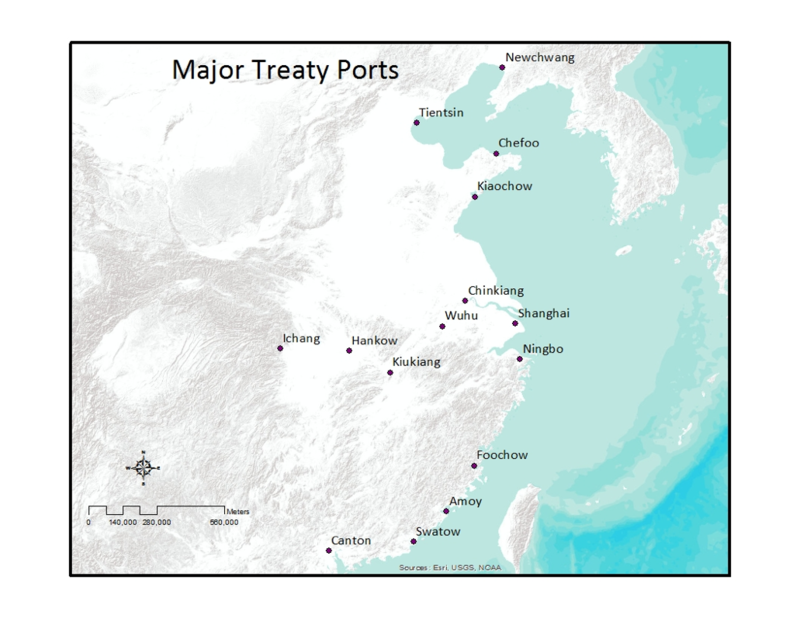 Figure 2 shows the 15 most important treaty ports for this analysis. While the treaty port system set up by Western countries in China brought significant institutional change (such as foreign courts) as well as technological change (in particular, steam ships), the focus in our recent work is on domestic trade – in particular how domestic trade frictions shape the size and distribution of the welfare gains from trade (Keller et al. 2016). In our paper, we point out that first, domestic trade matters because it is typically far larger than foreign trade. Figure 3 shows domestic and foreign trade in the five most important commodities across four treaty ports. Second, the centrality of a port’s location matters to how much it trades with other ports. 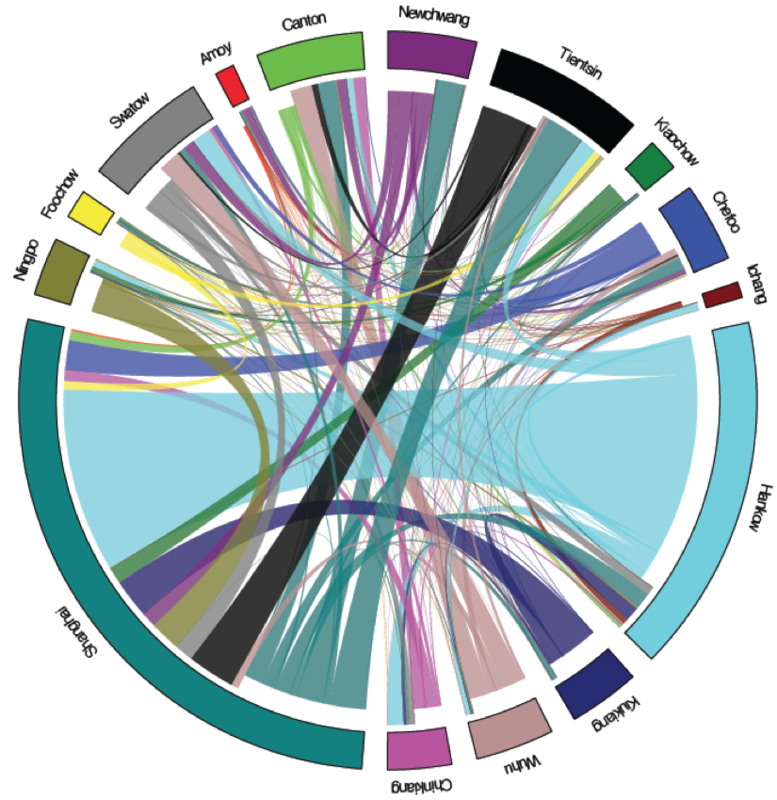 Figure 4 shows the matrix of bilateral trade flows between the 15 ports in our analysis. The thickness of each line is proportional to the size of the flow. Exports are shown in the same colour shade as the region's label and are offset towards the centre of the figure. 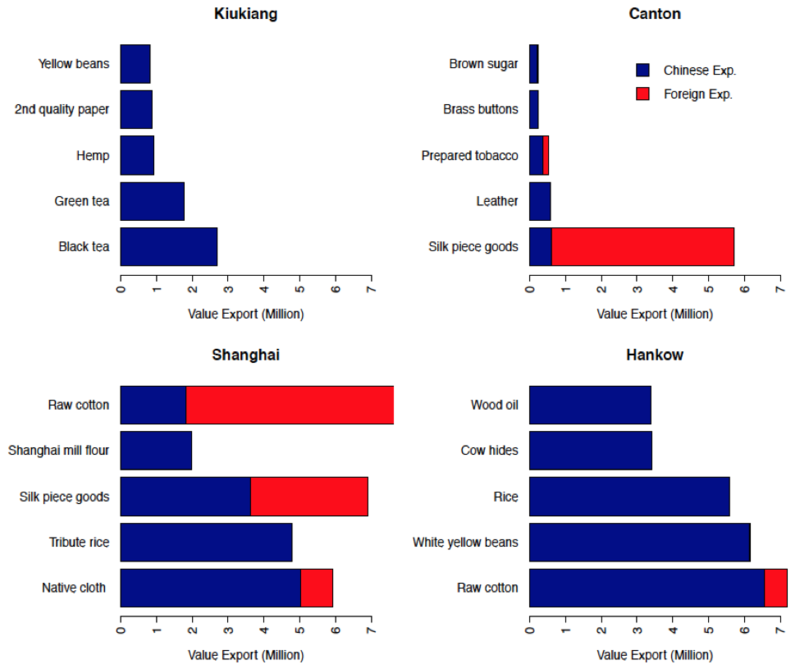 As shown in Figure 4, Hankow (today’s Wuhan) exports a large amount of its production to Shanghai, while Tientsin's imports from Hankow are smaller than Tientsin's imports from Shanghai. Third, price differences across individual commodities tend to average out, consistent with a model of comparative advantage where some regions are particularly productive at producing some commodities and other regions are particularly productive at producing other commodities. Applying the trade model of Eaton and Kortum (2002) using commodity-level (and aggregate) bilateral trade between the 15 Chinese regions around the year 1900, we find that, first, the gains from new technology such as steamships are shared through the general-equilibrium effects of trade. A 20% improvement of Shanghai’s technology, which raises the welfare of the inhabitants of Shanghai itself by 1.5%, leads also to welfare gains in nearby regions such as Ningbo or Wuhu. Even Swatow (today’s Shantou), which is more than 1,300 kilometres away from Shanghai in China’s Guangdong province, experiences about one tenth of the welfare increase in Shanghai. Strikingly, however, since factor costs, income, and production patterns respond endogenously, we also find that ports like the distant Tientsin (today’s Tianjin) actually experience welfare losses with the improvement in Shanghai’s technology. In addition, lower trade costs can lead to welfare gains, as might be expected, but in the race between geography and technology, lower trade costs can also mean lower welfare for productivity leaders. This is because as the costs of transport decline, productivity leaders may be replaced by less productive nearby regions as low-cost suppliers. We show that a 50% reduction in the trade costs of all regions leads to a 13% increase in China’s overall domestic trade. However, the welfare gains of this are unevenly distributed, and the four regions with the best factor cost-adjusted technologies experience no welfare gain at all. Furthermore, we find that the more centrally located regions such as Shanghai lose more in terms of welfare than regions such as Swatow (see Figure 2). This is because the trade cost reduction has more dramatically cut down the competitiveness of centrally located Shanghai – Swatow, in contrast, is shielded to some extent by its peripheral location in the South, which implies that Swatow will continue to be the low-cost supplier to at least some of the regions in its geographic vicinity. Thus, geography and its effect on domestic trade frictions affects the distribution of the gains from trade. We also find that geography has a more important effect on the gains from trade than local factor costs in this analysis. Finally, even though the volume of domestic trade is bigger than that of foreign trade, the relatively minor differences in productivity across the Chinese regions we examine suggest that the scope for gains from internal trade arising out of comparative-advantage is limited during China’s Treaty Port Era. Overall, our results highlight the importance of accounting for a country’s domestic geography in quantitative studies of international trade. Ramondo, N, A Rodriguez-Clare, and M Saborio (2016), “Trade, Domestic Frictions, and Scale Effects”, UC Berkeley, January. See Krugman (2010) on the possible integration of his economic geography theory and trade theory. Ramondo, Rodriguez-Clare, and Saborio-Rodriguez (2014) show that quantitative models of international trade fit better with domestic trade costs, though they do not observe the latter.